Ok, if you stick it out with me on this one, you will get a huge surprise at the end! Promise! In the last episode Ae-yeon finds out that Dae-gu is Ji-yong. This episode begins with her on the phone with her dad, and he asks her to meet him in the office. In the office, Ae-yeon demands that Assemblyman Yoo resolve the problem and fix everything. She is completely rude to even her father, and acts like a spoiled child who thinks the world revolves around her. At the hospital, Soo-sun witnesses her mom (Jang Hyan Suk) talking to her dad (his picture) and apologizing for making a mistake again, as well as thanking the dad for leaving Soo-sun for her. Soo-sun decides to tell to Chief Kang that she cannot withdraw the case because if a person commits a sin s/he must beg forgiveness, which is the principal of the police unit. Dae-gu overhears the conversation because Soo-sun called him right before Chief Kang came in the room, and in the rush Soo-sun forgot to hang up. Dae-gu confronts Chief Kang and she puts the blame completely on Assemblyman Yoo. Back to the hospital, Soo-sun is fighting with her mom over the use of cellphone. She tells her mom that using the cellphone too much will be bad for the injuries, and Tae-il even chimes in in agreement. Mom gives up, albeit very disgruntled. Outside the room, Soo-sun deletes several text messages on that phone from mom’s friends asking if mom is the person in the viral video. Soo-sun explains that she is most worried about her mom watching the video. Tae-il laments that there is no way to block a viral video on SNS, even if other places don’t have it anymore. Late at night, Gook is on the computer asking people online to take off the video if possible. Tae-il sees this and joins in. While Tae-il fell asleep, Gook spent all night emailing and commenting on people’s blogs. In the next morning, Dae-gu hears of what Gook did and quietly slides the banana milk over. Cute! Pan-seok arrives at the police station early in the morning and heads over to talk to Team 1 leader; he even brings a pack of juice or energy drinks as gift. He inquires after Hyung-chul’s case, and the team leader says they are closing the case despite not finding the guy who was trying to kill Hyung-chul. Just then, Gook runs in to tell him that Kim Jin-kyung, the video uploader, has disappeared! The team is disheartened because they have lost the one prospect they were able to get a hold of, but they all decide to not give up on the case. Pan-seok guesses that Ae-yeon’s people have taken Jin-kyung somewhere, and they must begin the search by looking into the corporation’s real estates. Pan-seok is indeed correct. Jin-hyung has been taken to Ae-yeon’s son’s cottage for the time being. 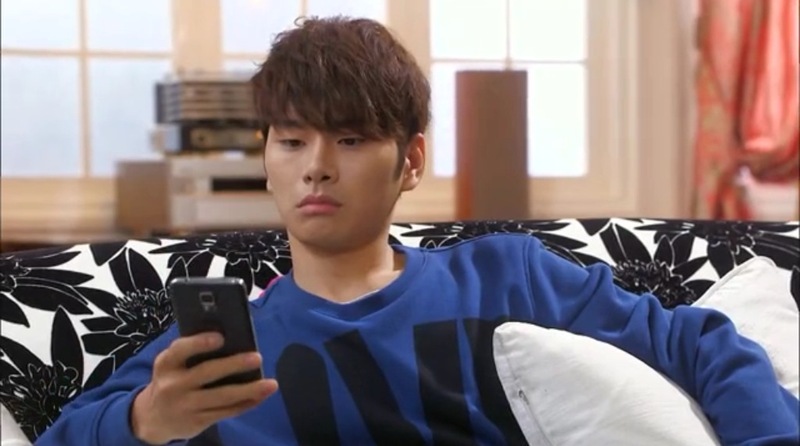 Ae-yeon demands that Jin-hyung hand over the cellphone that has the incriminating video. Ae-yeon asks if there are other copies, and Jin-hyung promises that there are no other. Meanwhile, Pan-seok and Dae-gu are visiting different hotels looking for traces of Jin-hyung. Dae-gu asks Pan-seok why can’t he just use his legendary skills and pick the right hotel, but Pan-seok cleverly replies that he has legendarily long legs and that’s why they can visit so many hotels so fast! The pair goes to eat lunch, and Pan-seok scoops some scallion into Dae-gu’s bowl. Dae-gu immediately jumps and proceeds to put the scallion into Pan-seok’s bowl. The two then launch into a much more serious conversation about Hyung-chul. They reach an agreement that the case is not over and Hyung-chul was definitely hiding something or someone. Pan-seok thinks back to Hyung-chul’s warning and wonders what he should do. Their relationships is definitely improving, and it is clear Dae-gu is becoming more receptive to Pan-seok. Back at the station, the three musketeers are trying to narrow down which vacation home or hotel they should investigate. Dae-gu uses his photographic memory (sure handy, writer-nims!) to pin point “Neira ferry,” a boat he saw in one of Ae-yeon’s pictures during his house call. They find out that the ferry only goes to Sapyung-ho lake, but they do not see an estate near there in their list. Just then, Ae-yeon’s son, Sin Gi-jae, calls Dae-gu to ask if his mom has been arrested. Dae-gu takes this opportunity to inquire about Sapyung-ho lake and finds out that Gi-jae has a vacation home there. Bingo! After hanging up, Gi-jae talks to himself and reveals that he intended for Dae-gu to find out where the home is! Soo-sun visits the station and brings chicken. She tells them that there is a movement online to take down the videos and Gook doesn’t take credit (boy, this is how you lose the girl!). Dae-gu and Soo-sun go to the vacation home together just as Jin-hyung is about to leave the house. Jin-hyung runs back into the house and locks the door. From outside the door, Soo-sun thank Jin-hyung for posting the video so they may discover the truth, and pleads with her to please talk to them. Jin-hyung opens the door and gives them a slip of paper with the video website’s ID and password. She tells the pair that on the site there is a full video that included the agreement signing. Upon return to the station, the team watches the full video. Pan-seok declares that this video is enough to prove that the agreement is void and they can establish a case for sure. Dae-gu goes to Ae-yeon’s residence again and bumps into Assemblyman Yoo outside (man, Dae-gu always sees someone at the door). Dae-gu informs Assemblyman Yoo that they have gained access to a full video, and Ae-yeon will be investigated as a suspect not a witness anymore; if she does not comply, they will come with an arrest warrant. Before leaving, Dae-gu tells Yoo that it would also be no use to call Chief Kang because the case is beyond her help now, and that Yoo should be an admirable role model for police officers like he used to be at one time. The next day, instead of going to the police station, Assemblyman Yoo visits Soo-sun’s mom at the hospital to give a fake apology that the mom actually buys. The team arrives too late, and the mom already agreed to pretend like the incident did not happen. Everyone is angry, but mom is content that she got a picture of Yoo bowing. Dae-gu visits Ae-yeon one last time and warns her that next time he will bring her to justice. She laughs and hints at the fact that she knows he is Ji-yong. She goes on to say that after an incident like the one years ago, he should really be careful. Seriously, how stupid is this woman? She is basically connecting herself to that murder. the face of a spoiled brat. At the house, Assemblyman Yoo calls up Chief Kang to threaten her that he will take action if Dae-gu shows up again. At this point, I’m not sure he will because he has claimed that like thirty times already, but whatever, a threat is a threat. Pan-seok talks to Sa-kyung at the station and tells her the reason he stamped the divorce paper is because he was guilty and that’s what she wanted. She refuses to tell him why she served him the divorce paper, and instead tells that he can go on living in this pattern forever. 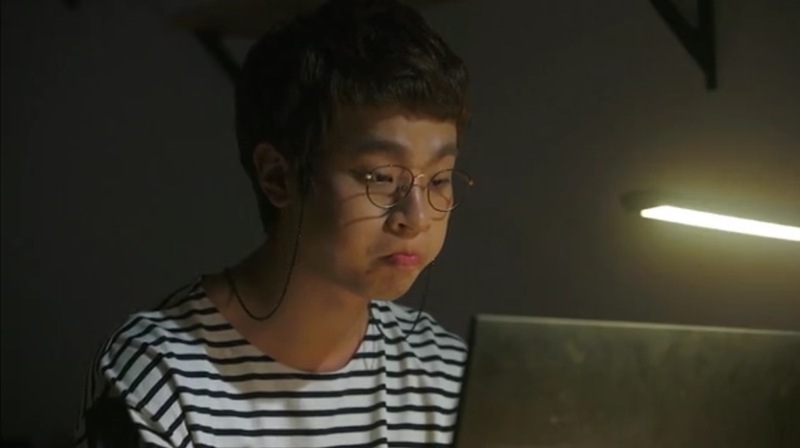 Tae-il overhears the conversation and follows Pan-seok to tell him that the hug was a misunderstanding, and asks him if he wants to know about the divorce paper, but Pan-seok refuses. Aside from the not so romantic background, this was super cute! Can’t wait for the next episode!!! ^^ What did you think? Too cheesy? Or just right?